Eten Islands renowned for its historical sites, once served as in important Japanese air base. Numerous remains of the air base and planes destroyed during the war can still be spotted at various places around the island. The runway that was used by the Japanese planes still exists but is now covered by towering palm trees. The island was almost destroyed by relentless American bombings during the World War II. Now what remains at the Eten Island are remains of Japanese command centers. A three storied building that was used as a strategic communication center and an aviation base still exists and attracts the attention of the tourists. From here, tourists can hike the striking Mount Uinku. The top of the mountain offers exceptional views of the island and houses a Type 89, 127 mm anti-aircraft gun as well. The calm waters of the island offer some of the best diving opportunities and are rich in marine life. 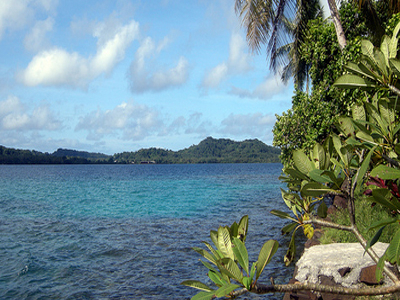 Here's the our members favorite photos of "States/Regions in Federated States of Micronesia". Upload your photo of Eten Island!